Thomas Bogart Williams, age 77 of Laurinburg passed away to his Heavenly home on Sunday, March 31, 2019. Thomas, a son of the late Charlie C. and Nellie Lee Williams was born April 25, 1941 in Scotland County. 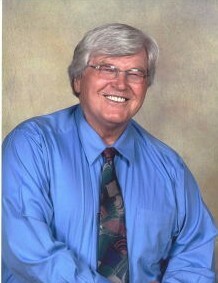 He retired in 2005 after 38 years of service with WestPoint Stevens, Inc. He was a faithful member of the Springfield Church of God where he loved singing in the choir and serving on the food committee. Thomas had a green thumb and loved working in the yard, growing flowers and plants. He was an avid walker and enjoyed traveling to the mountains and beach. Above all, he loved his family, his real family and his church family. He will forever be remembered for his faithful witness of Christ, his loving smile and giving heart, and his legacy of love for family. He leaves behind a brother, Charles Williams (Ava Lee) of Gibson and sisters, Eddie W. Pate of the home, Almenia W. Stevens (Larry) of Aberdeen, Wanda W. Sheppard (Charles) of Maxton; his special nieces and nephews, Kimberly Spry (Kevin), Kemp Williams (Jim), Tony Williams, Sandy Williams (Gloria), Roger Stevens (Karen), Brian Stevens, Ursula Ray (Lee), Farrah Foshay (Brian) ; great nieces and nephews, Amber Flowers (Jay), Megan Stevens, Ryan Stevens, Daniel Stevens, Justin Ray, Laney Ray, Addi Foshay, Mason Stevens, Isabelle Stevens and great-great nephew, Parker Flowers; his church family and a host of many loving friends. Funeral services to celebrate his life will be conducted at 3:00 p.m., Wednesday, April 3, 2019 at the Springfield Church of God officiated by Pastor David Shoemake. Burial will follow the service in Hillside Memorial Park. Visitation will be from 1:00 until 3:00 p.m. prior to the service on Wednesday at the Springfield Church of God. Thomas requested for memorial donations to be given to the Springfield Church of God Building Fund 10101 Gibson Road, Laurel Hill, NC 28351 or Scotland Regional Hospice, P.O. Box 1033, Laurinburg, NC 28353.